Anthony Weiner's gig as a member of the advisory board at public relations firm MWW has come to an end after just two months, according to the New York Post. The firm, run by major Democratic fundraiser Michael Kempner, hired Weiner in July as a "public policy expert." It was reported earlier this week that the Weiner hire had consequences and that the firm lost clients that didn't want to be associated with the disgraced congressman. Weiner's exit is being framed by the firm as a resignation, according to the Post's report. According to an internal memo from MWW chief Michael Kempner, Weiner was a victim of the media who left on his own accord to start up his own company. "Over the past few months, it has become clear that a handful of people and a few media outlets continue to be fixated on Anthony, attempting to cause harm to him and by extension to our agency," Kempner wrote in a memo obtained by Page Six. "The continuous noise from these parties has caused both Anthony and the MWW team to have to deal with many inflammatory, insulting and false stories," he whined. "So, effective as of today, Anthony has resigned as a member of our Advisory Board and as a consultant to MWW," he wrote. 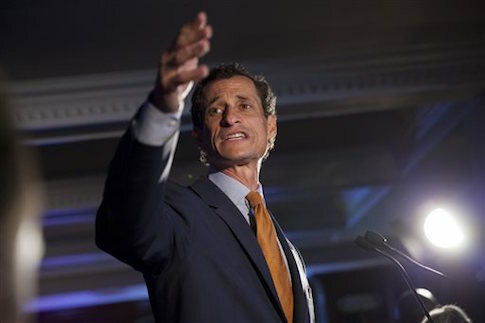 Though Kemper claims that the attacks against Weiner were false, he also had concerns about Weiner's image. Weiner was barred from attending a fundraiser held at Kemper's New Jersey house for Hillary Clinton's presidential campaign earlier this month. Weiner's wife Huma Abedin is currently working as a top aide to the Clinton campaign.